2012: Claude Debussy’s 150th birthday, Charles Dickens’ 200th birthday, and the pomp and patriotism of a Royal Diamond Jubilee. Debussy really scored a hat-trick with his piano Prélude Hommage a S Pickwick Esq. P.P.M.P.C., which has associations with all three. 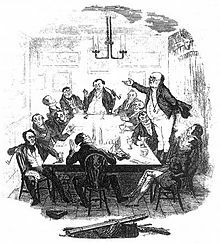 Even better, Dickens travelled to Ipswich in 1835 to report on the General Election, and stayed at the Great White Horse, immortalizing the tavern and his experiences there in ‘The Pickwick Papers’. And I live in Ipswich. Voilà! 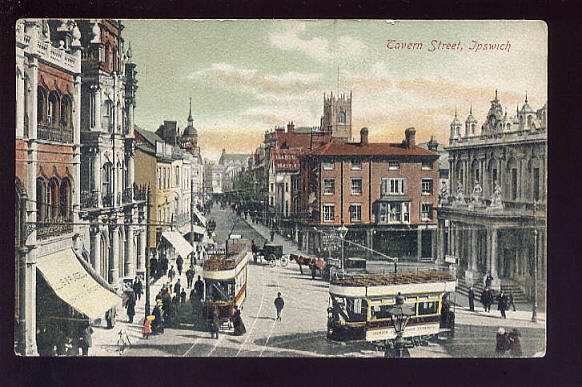 ‘… In the main street of Ipswich, on the left-hand side of the way, a short distance after you have passed through the open space fronting the Town Hall, stands an inn known far and wide by the appellation of the Great White Horse, rendered the more conspicuous by a stone statue of some rampacious animal with flowing mane and tail, distantly resembling an insane cart-horse, which is elevated above the principal door. The Great White Horse is famous in the neighbourhood, in the same degree as a prize ox, or a county-paper-chronicled turnip, or unwieldy pig-for its enormous size. 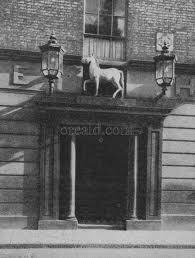 Never was such labyrinths of uncarpeted passages, such clusters of mouldy, ill-lighted rooms, such huge numbers of small dens for eating or sleeping in, beneath any one roof, as are collected together between the four walls of the Great White Horse at Ipswich. It was at the door of this overgrown tavern that the London coach stopped, at the same hour every evening; and it was from this same London coach that Mr. Pickwick, Sam Weller, and Mr. Peter Magnus dismounted, on the particular evening to which this chapter of our history bears reference… ‘Charles Dickens, The Pickwick Papers, Chapter 22. Back to earth for a bar or two, then off again – diddley-dum-de-dum-de-dum CRASH… The music trips over itself, gets its breath back, and regains its composure at a restrained tempo, ending with a triumphant flourish. So concludes this musical portrait of the capricious Mr Pickwick. 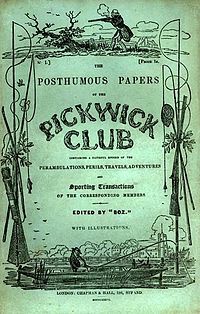 This entry was posted in Composers, Music, Pianists, The French Connection - An A-Z of Debussy's music and tagged Charles Dickens, Hommage a S Pickwick Esq, Ipswich, Pickwick, Pickwick Papers. Bookmark the permalink. You should go to the Wikipedia entry and correct/enlarge on its reference to Hommage a S. Pickwick Esq. P.P.M.C.